Alistair trained as an actor and then followed his natural direction as a comedian. As an extremely versatile impressionist he has given voice to many of the ‘Spitting Image’ puppets and as part of his stand-up he includes a whole host of famous voices such as Tony Blair, John Major, Chris Eubank, Prince Charles and Hugh Grant – each voice being instantly recognisable and hilarious. As a sports fanatic he has appeared on ‘They Think It’s All Over’ and ‘Standing Room Only’. His re-voicing of video footage is another talent resulting in the release of two of his own videos – Football Backchat and The Second Leg. In 1997, Alistair also completed a video called, “Alistair McGowan’s Sporting Odds and Sods”. 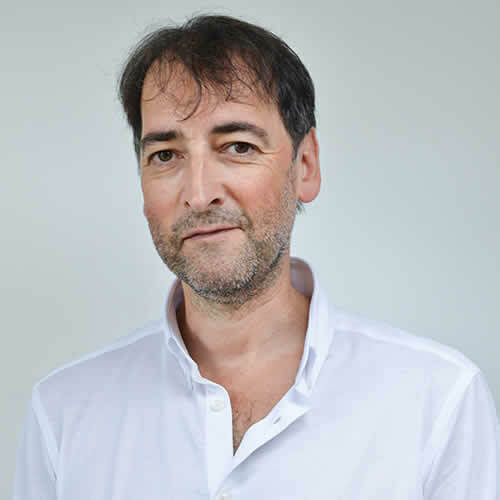 Alistair has narrated numerous radio shows, and made a number of appearances on television, including shows such as the ‘Jack Docherty Show’, ‘Call My Bluff’, ‘Heroes of Comedy’, ‘Clive James Show’, ‘The Stand Up Show’ and the ‘Lenny Henry Show’ and, of course, his own TV special ‘Alistair McGowan’s Big Impression’. He is now well established as an after dinner speaker and has spoken at events as diverse as The Professional Footballers Association Annual Dinner and The Royal Television Society Awards. He also writes regular columns for The Daily Telegraph Saturday sport section. Whatever the event, Alistair will make you laugh!